Smoker? but want to stop littering? Try our ashtrays for the car. These are some of the best you can buy. We have two kinds that are sure to sell right off the shelves. 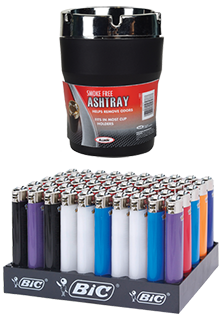 Ash Grabber and Smoke free ashtrays are great for any car cup holder and they will most definitely be a smokers best friend. Get yours now! We have the lowest prices in the nation. GUARANTEED!